On a night in Lincoln where many past stars were honored, there were quite a few future stars on the sidelines taking in the game as visitors. There were multiple 2018 4-star players on hand and a 5-star in Micah Parsons. Every 2018 commit in Nebraska’s class made it to Lincoln except one as they made it a point to show support for the big game. 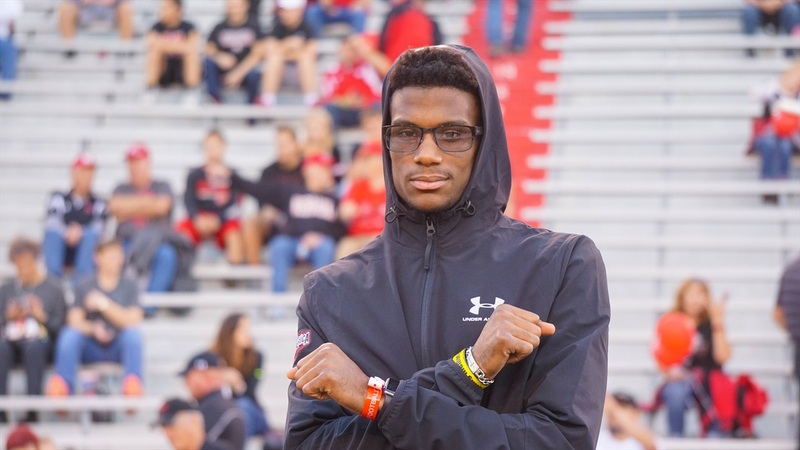 One of the best and most visible recruits in the class, Joshua Moore‍, was in Lincoln for his official visit. Since Moore has been to campus numerous times, he didn’t take all the typical tours after meeting up with everyone for lunch. He does have a good idea of what he wants to major in when he arrives in Lincoln as an early enrollee, telling me sports management is his intended major. One of the big topics this weekend was the sheer collection of talent that was on the sidelines and what the vibe was among the players. Everyone is curious what all the guys thought of the game and atmosphere. One of the big topics in recruiting these days in recruiting is peer recruiting. When a national recruit like Moore is in a class, he almost always plays a strong role in helping land more talent. He told me that he has his own style. Moore told me that he “definitely” felt the bond between the commits that Tate Wildeman mentioned to me earlier today. The other hot topic is how recruits reacted to the Nebraska loss. Moore had an answer consistent with everyone I’ve talked to.